Launch Party at Easons O’Connell street at 6.30pm on Feb 25th. Though it has grown in recognition and popularity in the last few years, there still seems something slightly patronising about the categorisation of ‘Young Adult’ fiction. That is, until you read the strongest examples of the canon, such as Deirdre Sullivan’s new book: Needlework. 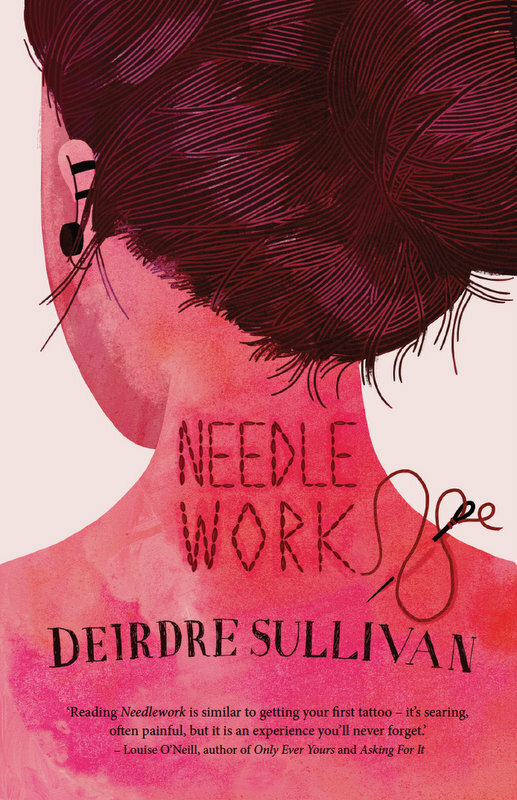 Needlework follows Ces, a teenage girl stuck in an endless cycle of school, work, and housework, who dreams of one day becoming a tattoo artist. As the book progresses, it becomes clear that her struggles stem from a childhood riddled with abuse, and having to deal with a mother who seems resentful that she has suffered too. Following the break up of her parent’s marriage, Ces lives in a shabby house with her mother, who is too busy wallowing in self pity to take much interest in her. With an intelligent and charismatic narrator; Sullivan creates an enthralling novel that draws you in immediately. The beautiful short sentences are poetic without being flowery; and by intertwining the main narrative with Ces’s thoughts and ideas about tattooing, the serious subject matter is never sensationalist or heavy handed. The most impressive aspect of this book is the depiction of its narrator. Ces is certainly not a victim. Though she keeps herself at a distance from others in order to avoid being thought so, the overall message is one of triumph over adversity in the simplest and most profound way. Ces is an incredibly strong, and eloquent character; and particularly for those struggling with the trials of adolescence, Needlework proves that you can overcome much, or at the very least, survive it. As Ces says: ‘Even though I often want to die, I’m glad to live’. However, the book should by no means be limited to a Young Adult readership. It is also a fascinating exploration of victimisation, passion, and how sometimes there are more interesting things about a person, than what happened to them in the past.